Vincent Ector hails from the musical city of Philadelphia, Pennsylvania, where he attended the University of Pennsylvania. Trained in Music beginning at age nine through GAMP, a music magnet school in Philadelphia that also enabled him to study at Temple University while still a junior high school student. He then began studying privately with drummers such as, Mickey Roker, Ralph Peterson Jr., and Armand Santarelli, as well as performing for six years as a percussionist with the United States Army Band. As a performer, he has worked with jazz luminaries that include: NEA Jazz Masters, Freddie Hubbard, Randy Weston, James Moody, Slide Hampton and Jimmy Heath as well as Gloria Lynne, Charles Earland, Bobby Watson, Lou Donaldson, Grover Washington Jr., Dr Lonnie Smith, Ron Carter, Claudio Roditi, John Lee, Ralph Peterson Jr., Melvin Sparks, and Shirley Scott. 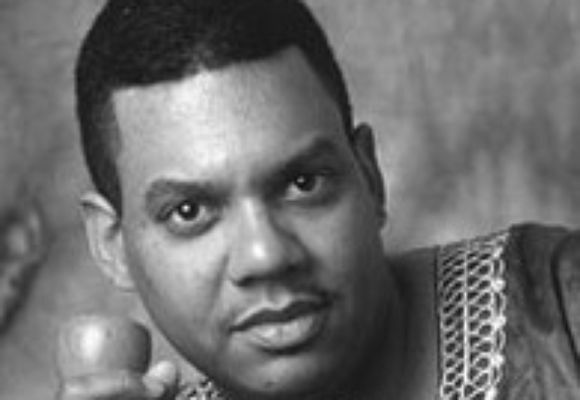 Most recently, Vincent produced his second CD as a leader entitled Renewal of the Spirit for Mambo Maniacs Records. This recording features Bobby Watson on Saxophones and four of Vincent's original compositions. He is featured performing on drum set, djembe and sangba African drums. His first CD, Rhythm Master features the great Eddie Henderson on trumpet. Vincent also produced a tribute recording for the late Charles Earland on the High Note record label. This recording features Joey DeFrancesco, Pat Martino and Eric Alexander. Vincent can also be heard on recordings by: Reuben Wilson, Gloria Lynne, Ben E. King, Jimmy Bruno, Onaje Allan Gumbs and Charles Earland, as well as appearing as a musician on ABC television's One Life to Live daytime soap opera, which features Vincent's recorded drum performance. He performs regularly in New York City with several ensembles such as, The Charles Mingus Orchestra, The Sandro Albert Quartet and his own band in venues such as; Smoke, The Iridium, Dizzy's Club Coca-Cola and The Jazz Standard among others. An accomplished musician with no confinements, Mr. Ector has been featured as a Clinician at the University of the Arts in Philadelphia, Lincoln University and is currently the President and Executive Director of Arts For Kids Inc., a non-profit arts-in-education company providing workshops performances and professional development for schools in New York, New Jersey and Connecticut. (www.artsforkids.net). He is also a sought after Artist-in-Residence for The Manhattan New Music Project and Arts Horizons Inc. of Englewood, New Jersey. These residencies place him in the New York City public school system, primarily in districts for children with special needs. Mr. Ector was a featured teaching artist in the Harcourt/Brace Media Literacy Video Series, which is distributed nationally, as well as internationally. Vincent is currently in demand as a recording musician and as a performer at jazz festivals throughout the world with numerous international artists such as, Randy Weston's African Rhythms Orchestra, The Dizzy Gillespie Alumni All Stars & Big Band, Bobby Watson & Horizon, Gloria Lynne, Ben E. King and Lou Donaldson.